Company meetings, offsite corporate outings and relaxed social gathering are extraordinary at Mercato della Pescheria, an authentic Italian Restaurant in St. Mark’s Square, Las Vegas, NV. We’ll take care of everything, so you can focus on the work at hand. We’ll serve you authentic Italian cheeses and cured meats, fresh fruits and salads, and delicious Italian desserts. Authentic Italian pizzas from our wood-fired pizza oven makes a hearty lunch. After a long day of planning the next big idea, kick back with a social gathering in our cushy lounge to enjoy an authentic Italian beer, or a highball. Our private dining rooms are perfect for C-level meetings, and we’ll pair your authentic Italian seafood, the most succulent meats and handmade pasta choices with fine wines from The Wine Cellar. Our authentic Italian Restaurant will serve your entire team with exceptional charm, here in the heart of St Mark’s Square on The Strip in Las Vegas, NV. 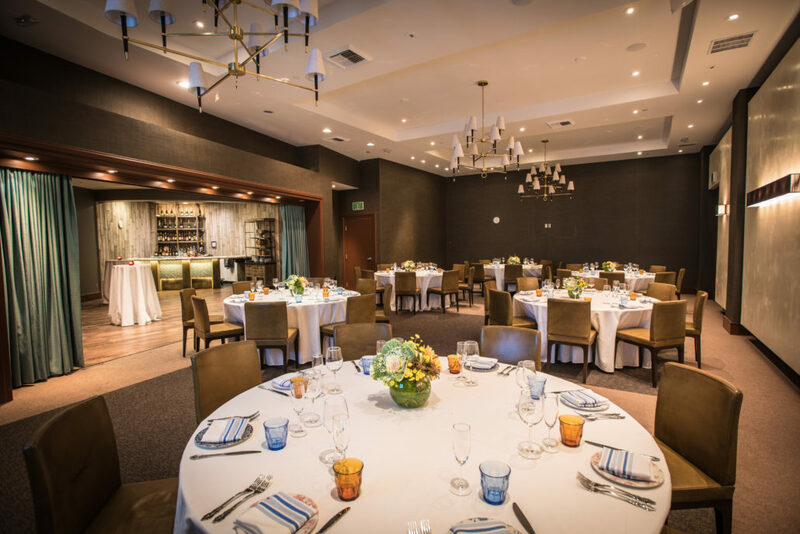 Our meeting events packages include options for Breakfast, Lunch, Dinner and Cocktail Receptions. Buyouts are available upon requests (minimum number of guests required).